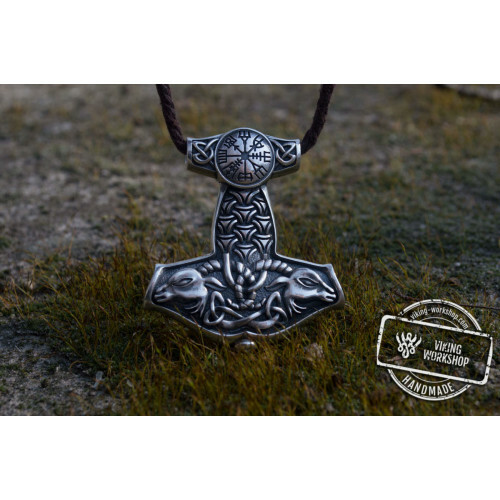 Thor was a mighty, unrivaled supreme creature of destructive and killing thundering and celestial energies as lightning, thunderbolts and scaring storms. 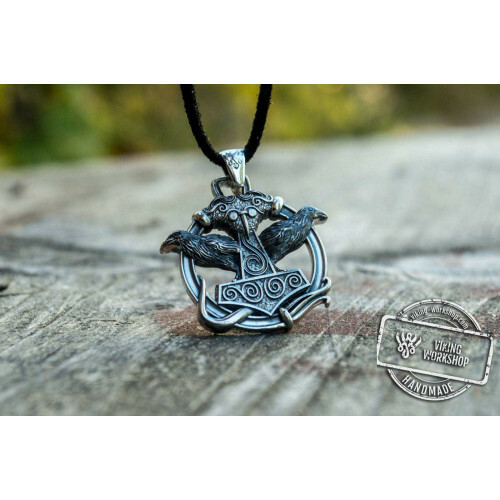 This divine mythical creature also represented extreme oak tree hardness and endurance. 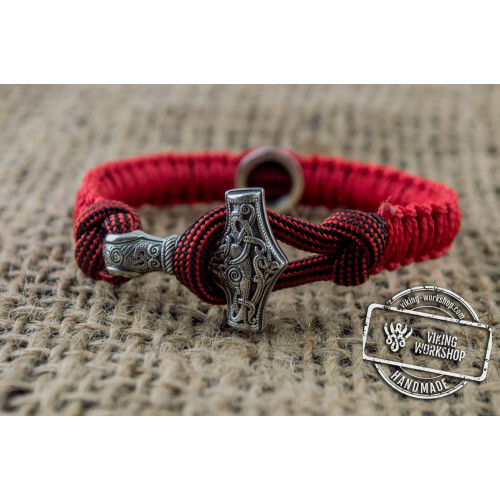 Ancient beliefs and sagas presented the divine creature as red-haired and bearded. 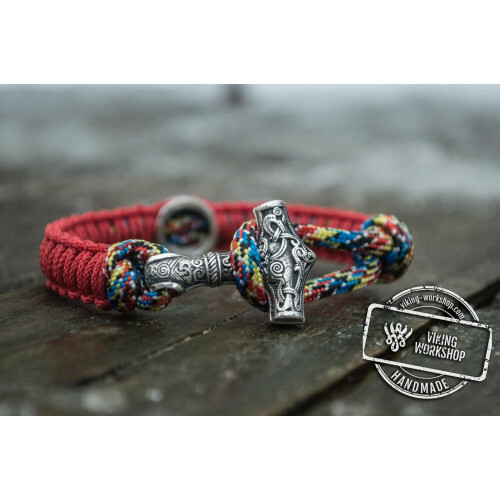 The mighty tool was a destroying instrument and deadly weapon in the hands of the God smashing anything on its way no matter what was the obstacle: rock or enemy. 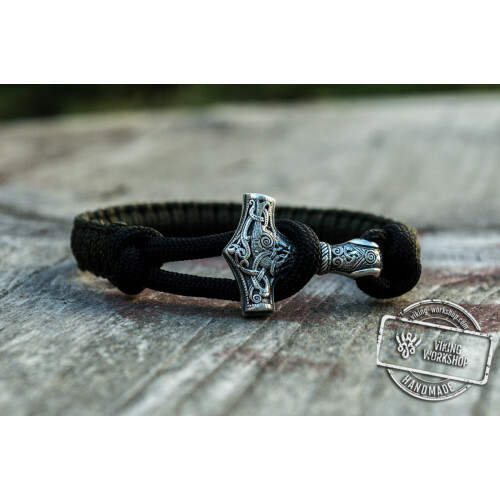 In the same way the hammer symbol in the bracelet will defend you from evil forces and spirits. 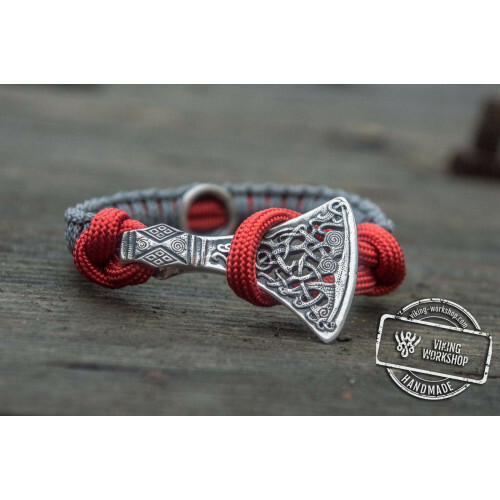 The protective defense of this bracelet amulet is increased with the red cord (red-haired God). 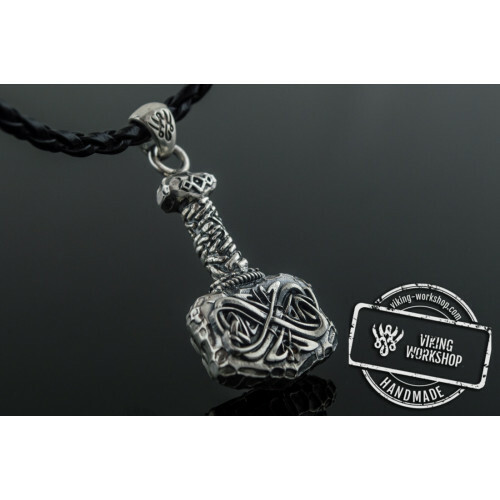 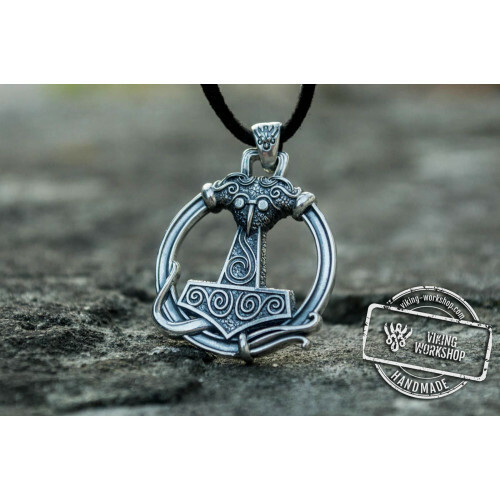 Today the pendant is worn with the same aim: getting power and divinely strong stamina. 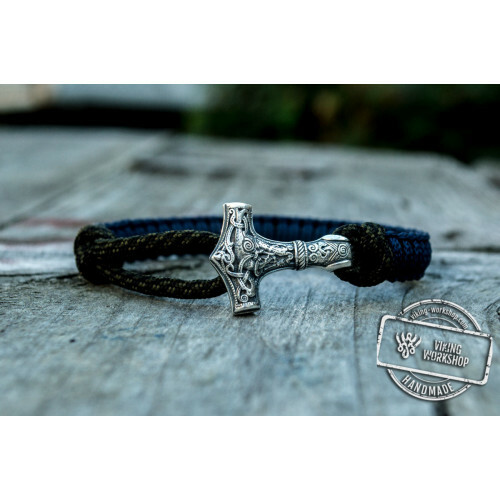 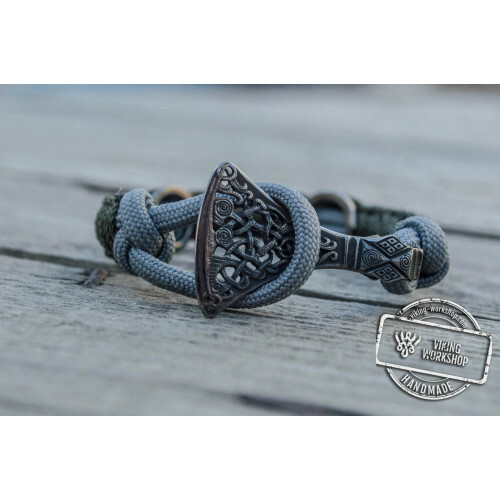 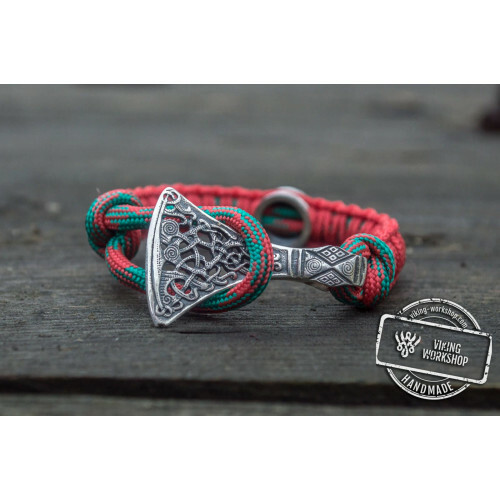 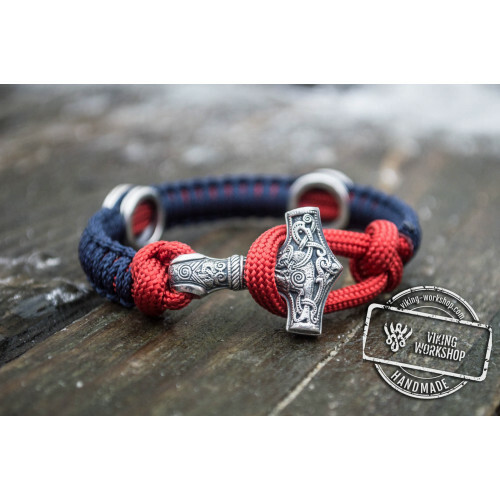 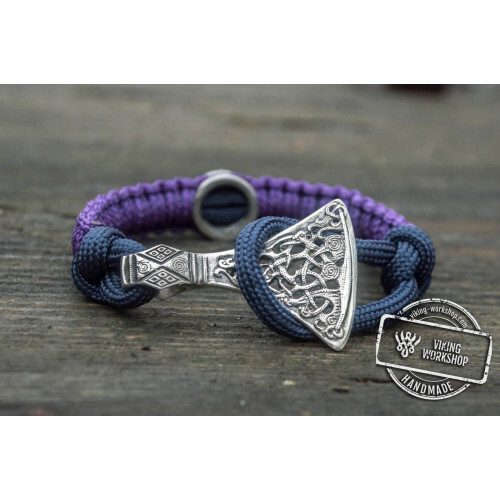 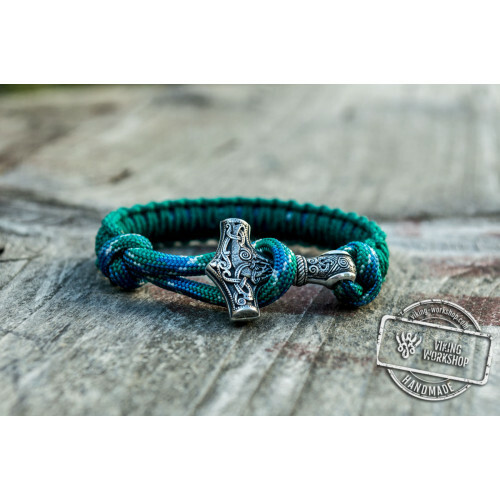 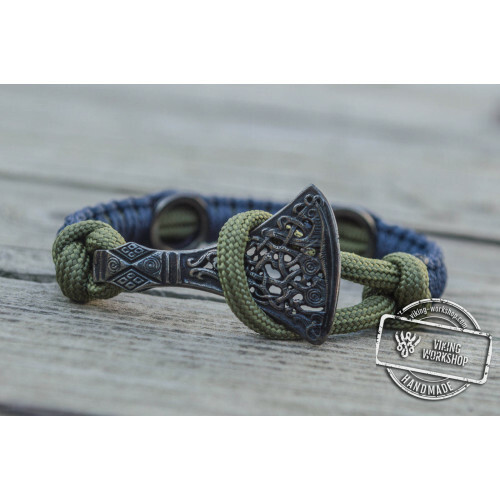 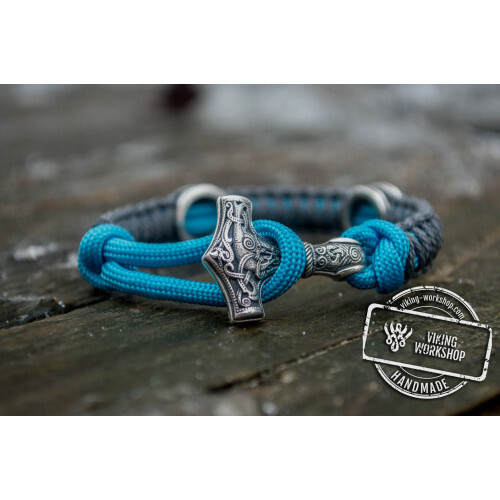 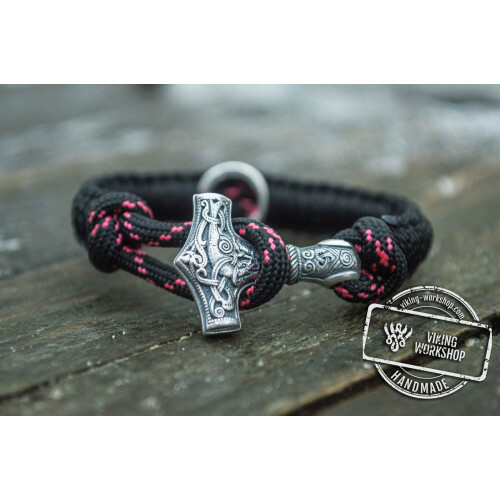 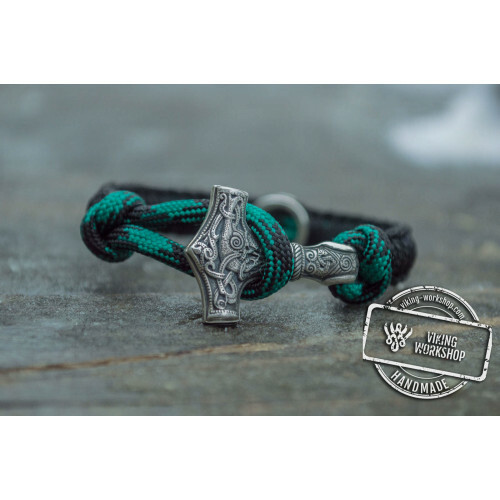 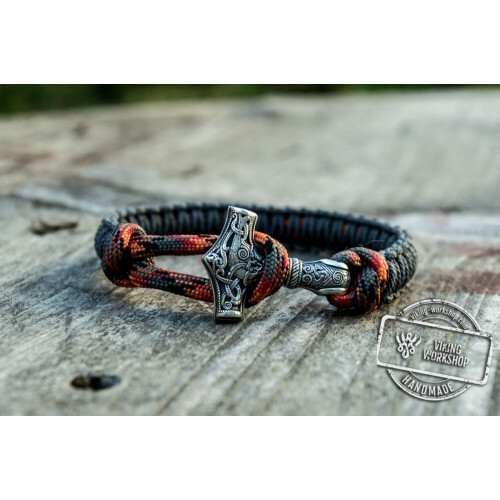 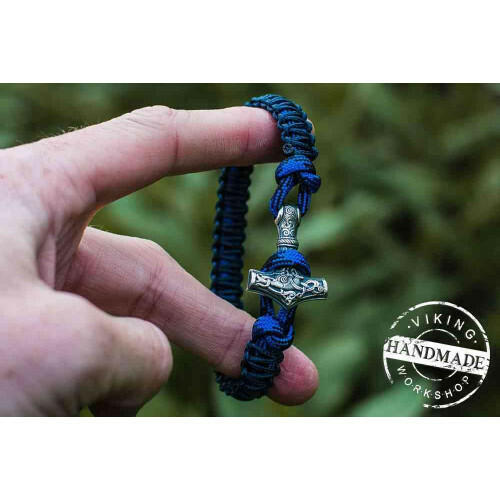 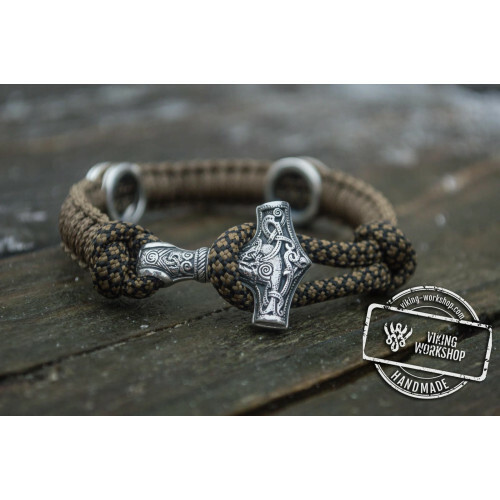 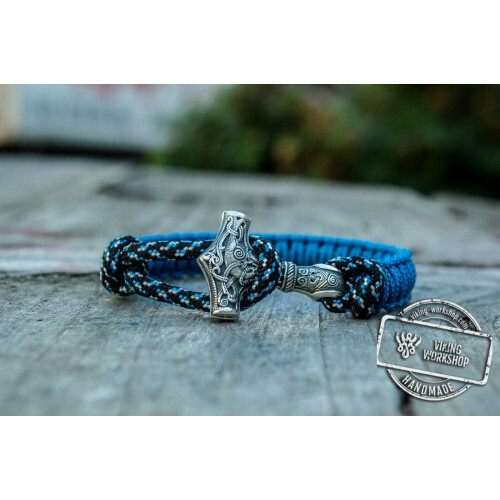 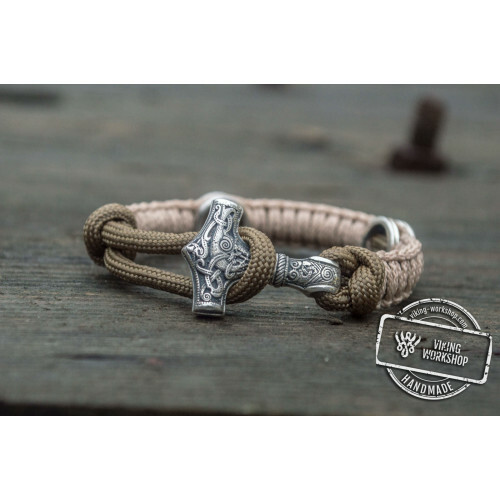 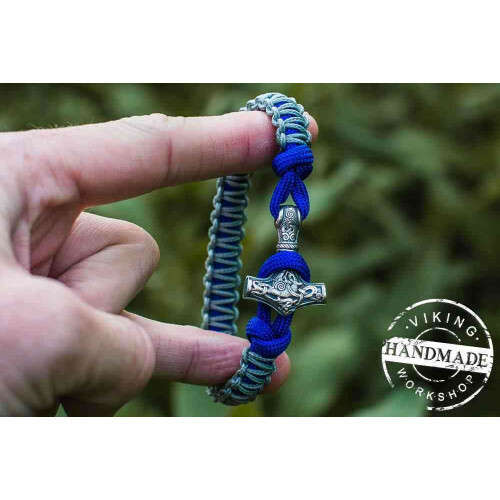 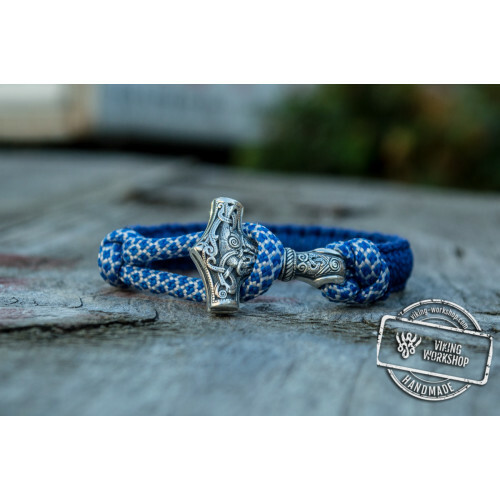 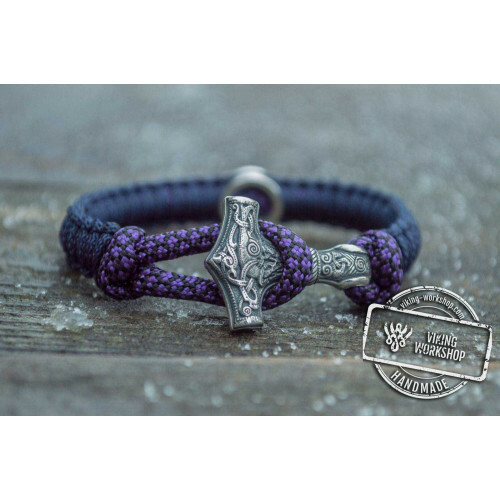 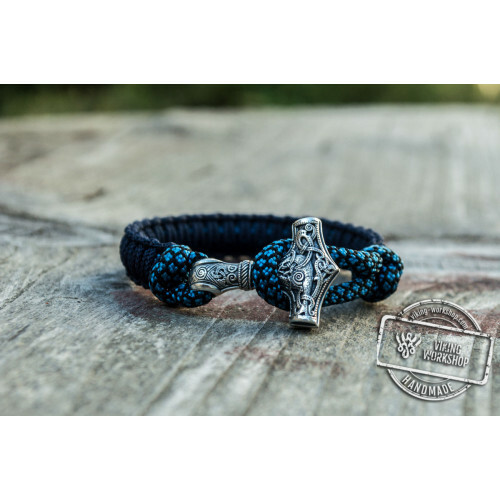 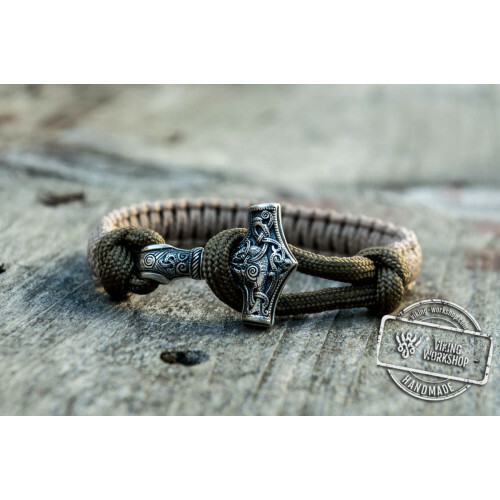 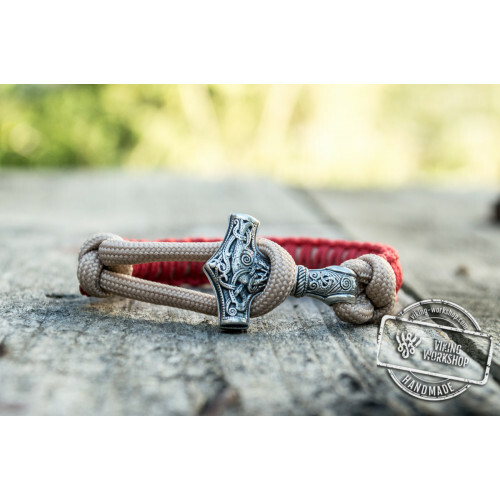 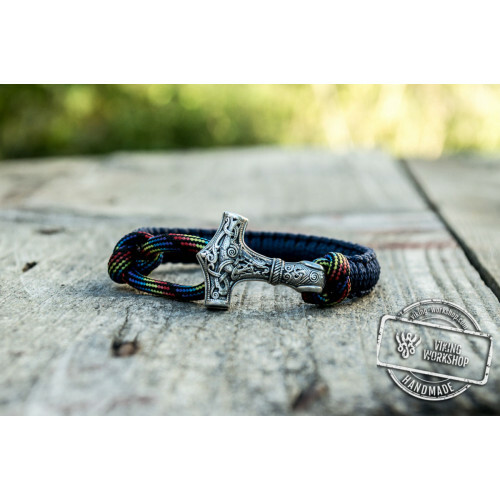 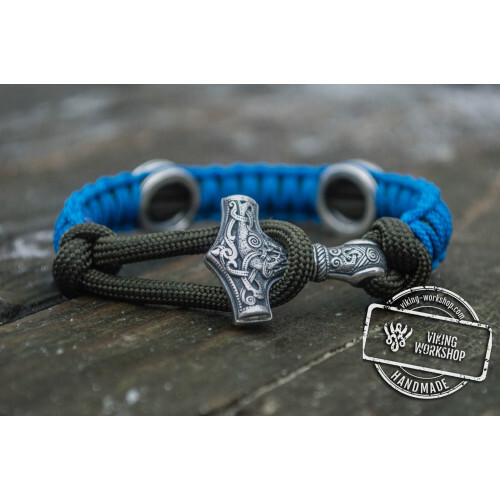 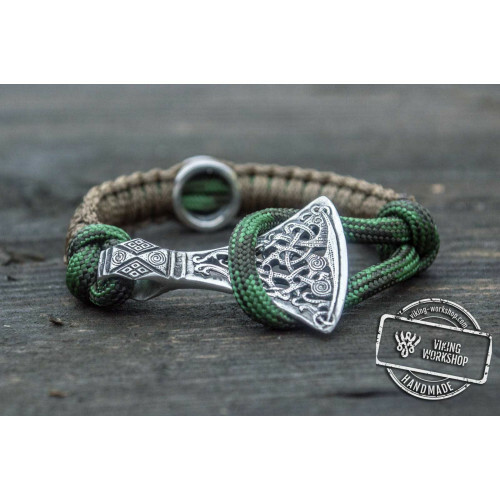 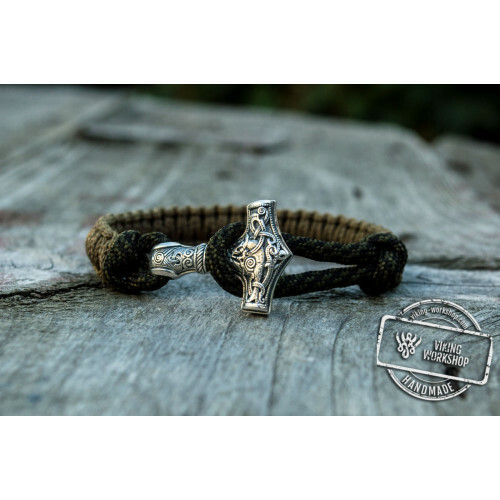 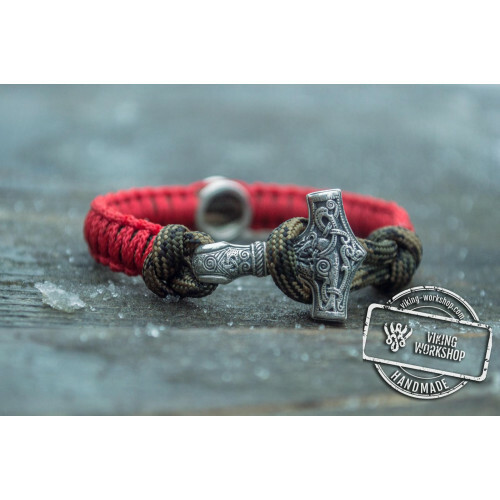 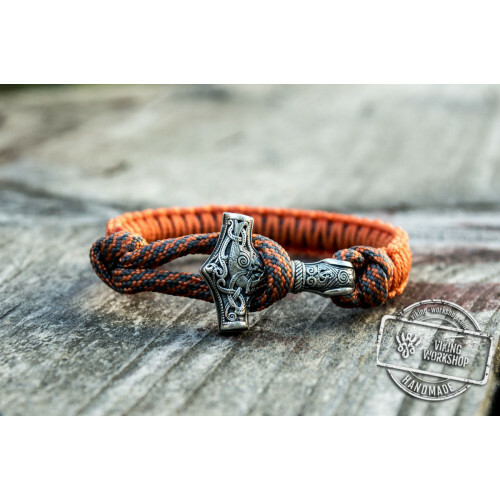 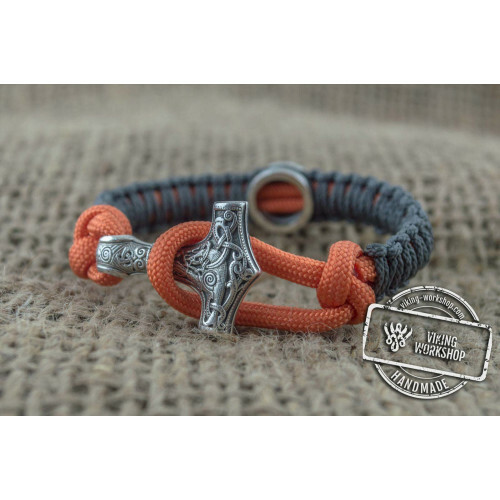 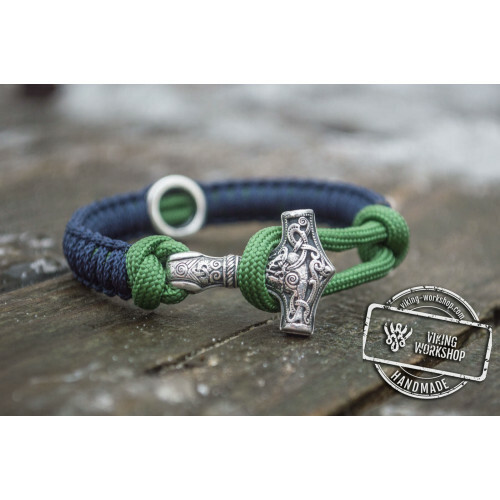 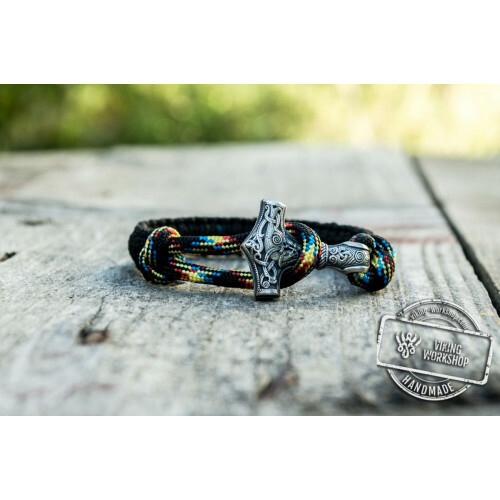 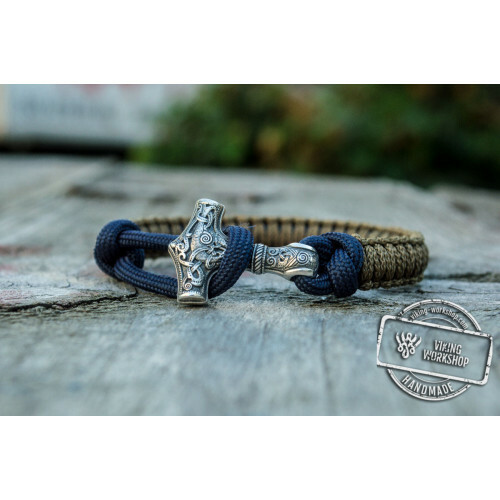 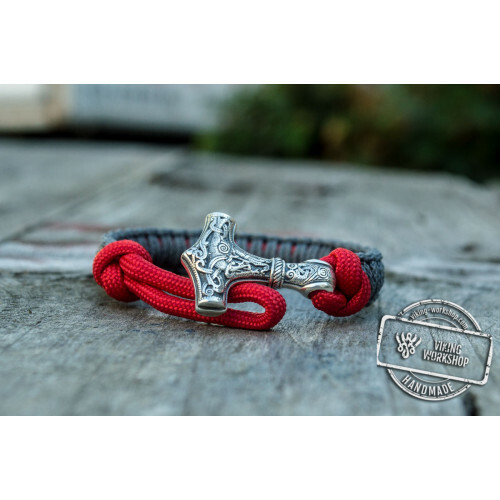 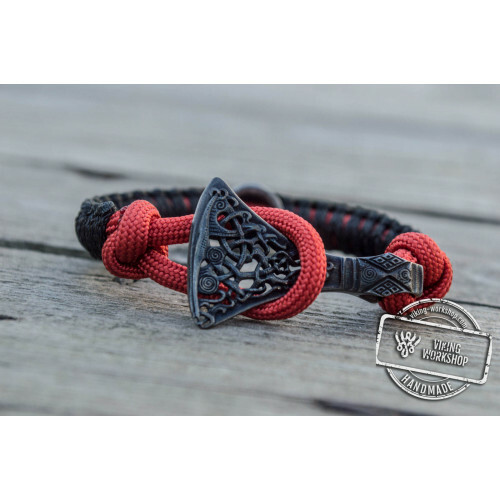 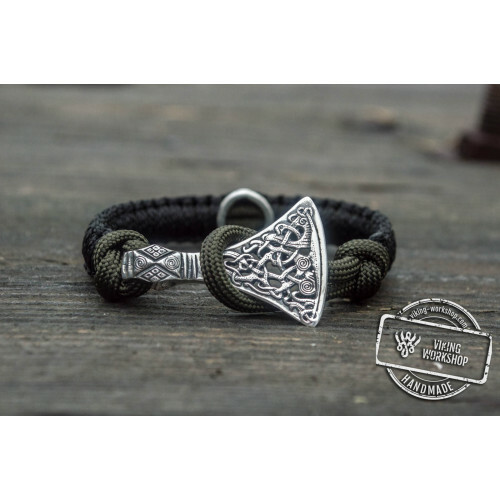 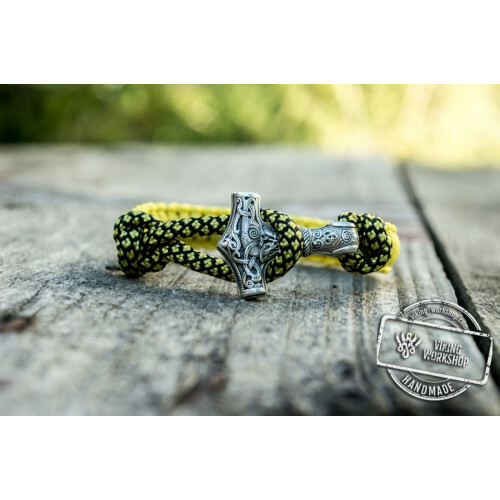 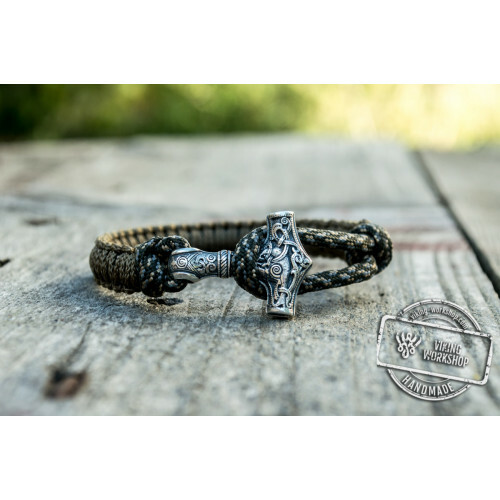 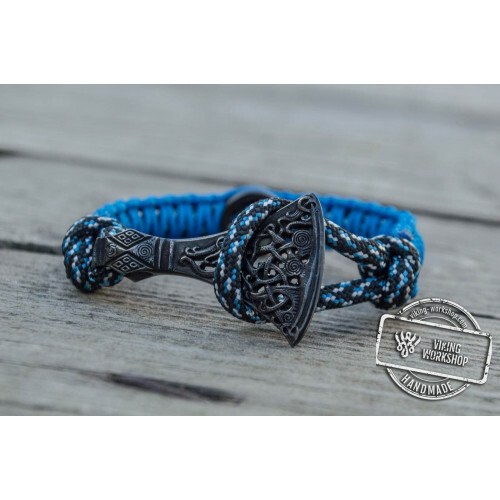 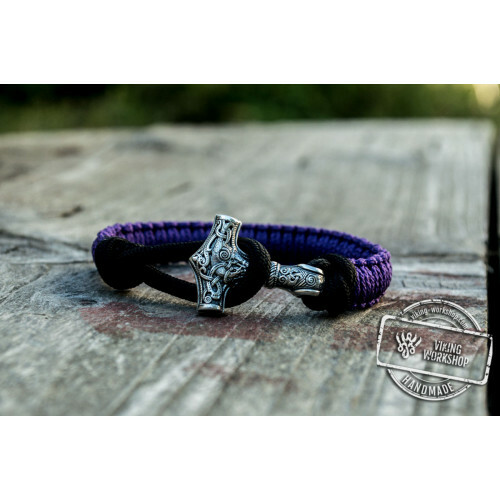 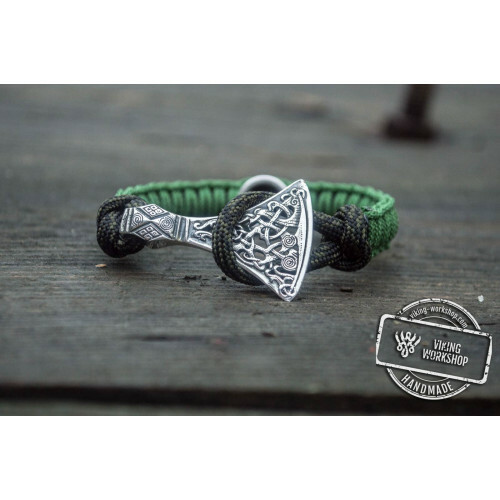 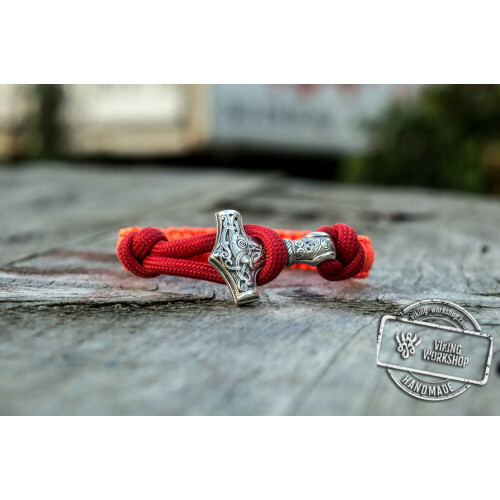 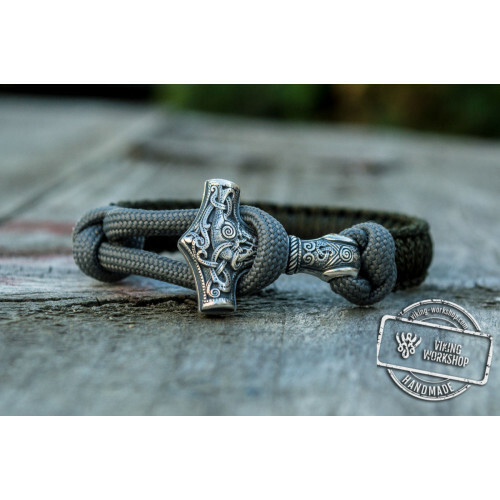 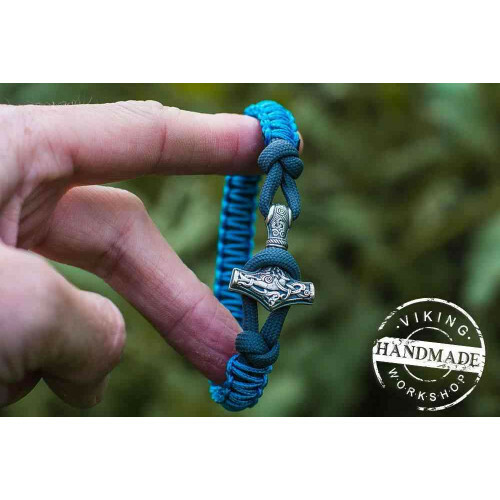 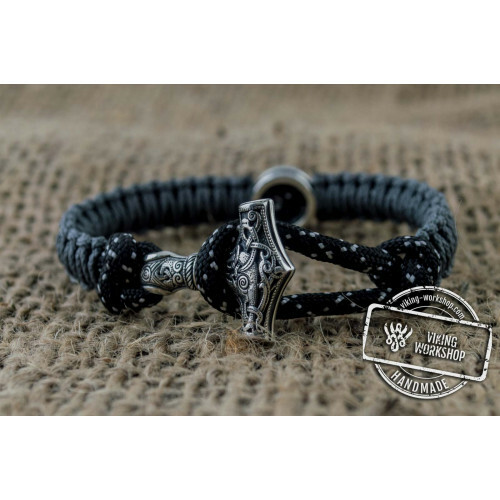 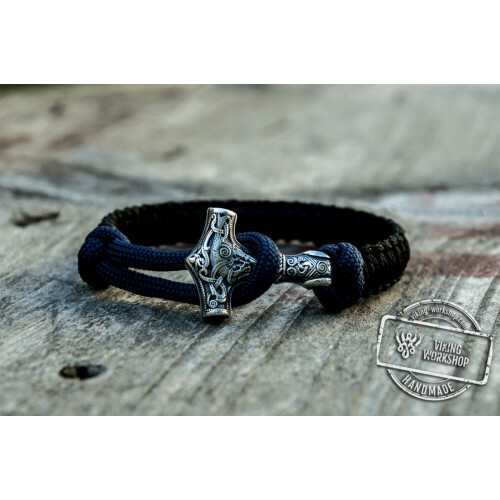 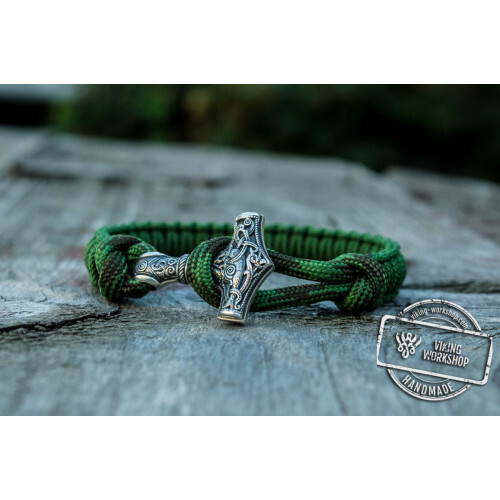 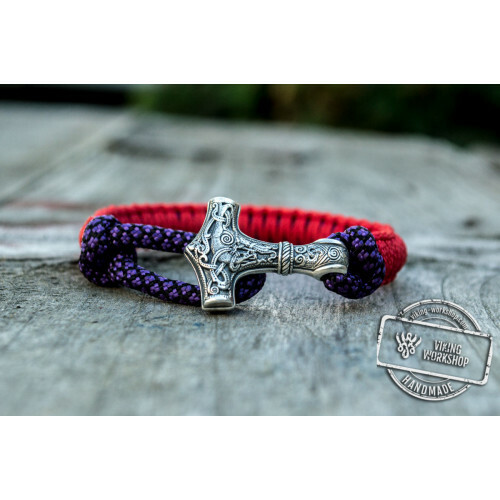 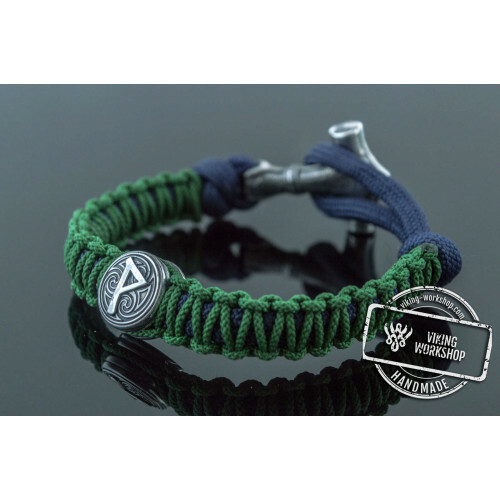 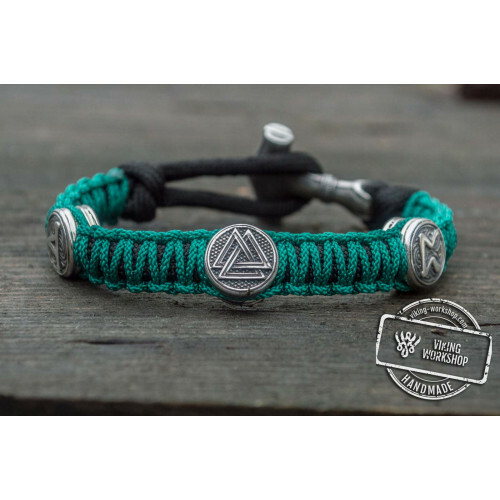 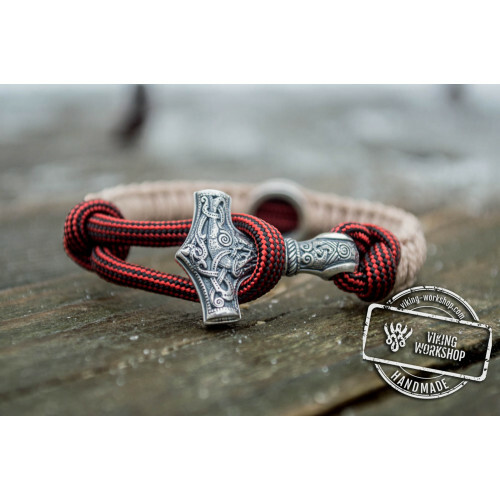 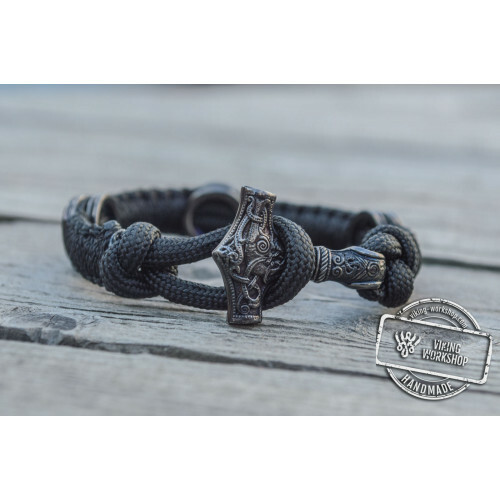 Paracord bracelet with Mjolnir is the best choice for those anticipating changes in life as new job, moving to another country or starting your business.